A high-end urban area - Ciputra Tay Ho is one of key real estate projects invested by foreign investor. Currently, the project has completed Phase 3 in terms of Ciputra villas. 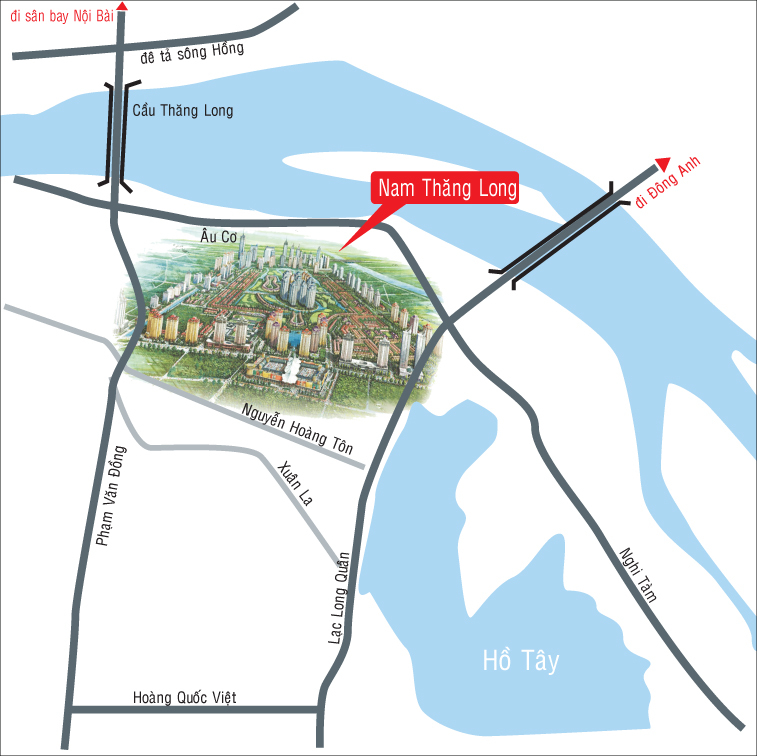 With its advantage of geographical location, infrastructure, security system, many foreigners choose Nam Thang Long urban area to live. Ciputra Hanoi urban area is fully invested with schools, hospitals, supermarkets... to bring the most convenient living space for all residents. 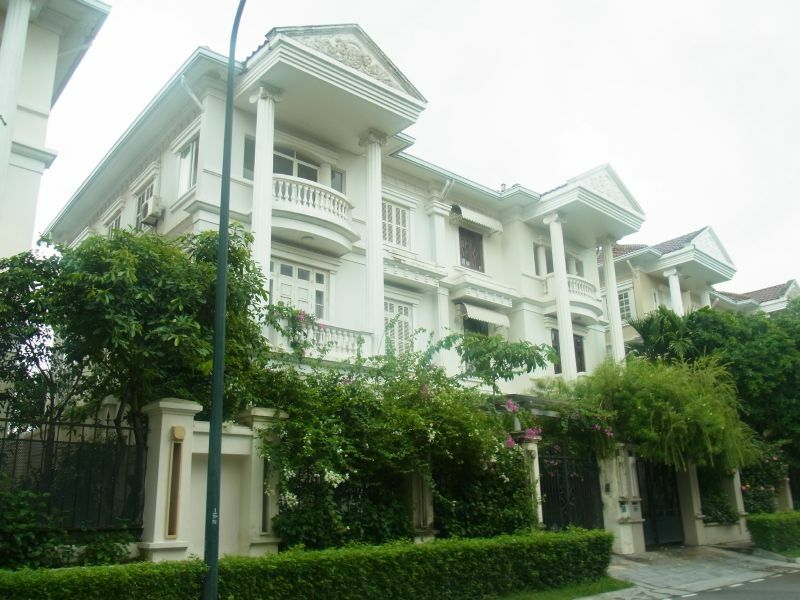 Villa Ciputra Hanoi has a prime location, 200m away from West Lake, adjacent to the following roads: Thang Long - Noi Bai, Nguyen Hoang Ton, Vo Chi Cong - Nhat Tan Bridge, Lac Long Quan Street. With the major roads surrounding Ciputra urban for convenient transportation. - Phase 2: Includes Block T1, T2, T3, T4, T5, T6, T7, T8 and T9 with total area of 4ha, near Red River floodway on the north, close to Phu Thuong residential area on the east, near Dong Ngac residential area on the west. - Phase 3: Includes Block Q with total area of 133ha, planned population of 24,000 residents. All villas in Ciputra Tay Ho are modernly designed with different areas of 126m2, 150m2, 180m2, 217m2, 330m2, 350m2 inluding 3 storeys, 4-6 bedrooms, big gardens and separated garages. Security guards get professional training, 24/24 on duty. Besides, patrol teams are required to ensure regular patrols to detect and handle unusual circumstances. Camera surveillance system are arranged at any corner of the villa zone. Completed and modern facilities and services for the residents such as international schools, banks, restaurants, pharmacy, travel agency, café ... together with professional workers of pruning flowers and bonsai ensuring beautìul landscape for the whole area. A large number of casual workers is responsible for waste management for a fresh and clean space for all residents. As a resident in Ciputra Tay Ho, you will enjoy a fresh and convenient living space with community center, lakes, trees, and other recreational facilities.